Get Your End-of-Life Funeral Planner | Sams/Hockaday & Associates Inc.
Is there a certain song you’d like your daughter to sing at your funeral? Is there a special bible verse you’d love to be on your headstone? Is there a certain memory you’d like to preserve through time? 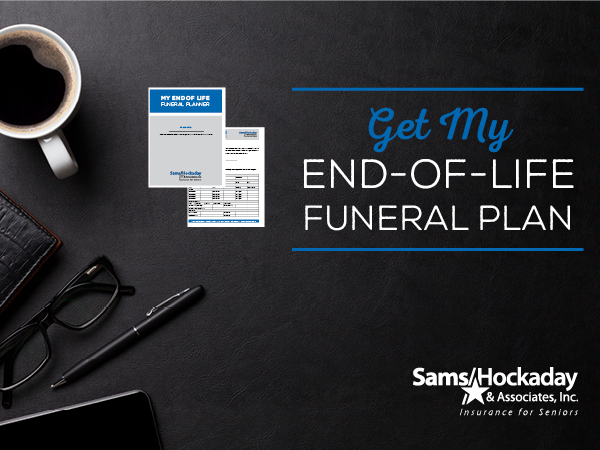 In this 10-page funeral planning print-out, you have all the space you need to express your wishes, document important information, and write about your life. Don’t leave the final details up to your grieving family – download your own End-of-Life Funeral Planner today.